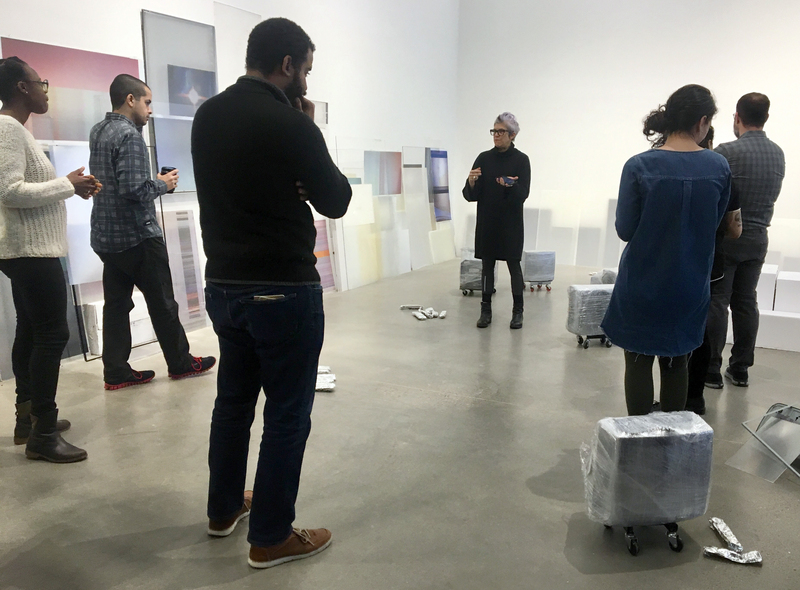 A gallery tour and conversation with the three artists whose work is currently on view at BRIC House. Penelope Umbrico will speak about her practice and her new exhibition in the Gallery of BRIC House, MONUMENT. Rose Nestler will discuss the themes present in her exhibition Gymnasia, on view in the Project Room; and Johannah Herr will guide folks through her Hallway space installation, Your Comfort is Attended by Violence. Coffee provided - please join us! Rose Nestler received her MFA from Brooklyn College in 2017. She has exhibited at a variety of galleries including Thierry Goldberg, CRUSH Curatorial, and CUCHIFRITOS, all in NY; Ortega y Gasset Projects, Underdonk, and Smack Mellon, all in Brooklyn; and University of Illinois Springfield Visual Arts Gallery. Nestler has been an artist-in-residence at Lighthouse Works, Chashama Workspace Program, Kimmel Harding Nelson Center for the Arts, Vermont Studio Center, and Byrdcliffe Artists Colony. Johannah Herr has had solo exhibitions at the New Gallery, Brooklyn; Chashama and Envoy Enterprises, both NY; the Muller Gallery, Detroit, MI; the Muted Horn, Cleveland, OH; and Galeri Metropol, Tallinn, Estonia. Her work has been shown at Elijah Wheat Showroom and Schema Projects, both Brooklyn; Sheila Johnson Gallery, NY; Platform Gallery, Seattle, WA; the Centro per L’Arte Contemporanea, Trebisonda, Italy; and the Water Tower Arts Festival, Sofia, Bulgaria, among other venues. She was a Studio Artist in Residence at the Museum of Arts and Design, NY, in 2017. Herr attended Parsons School of Design and the Cranbrook Academy of Art.